Spring has officially come to the Northeast! 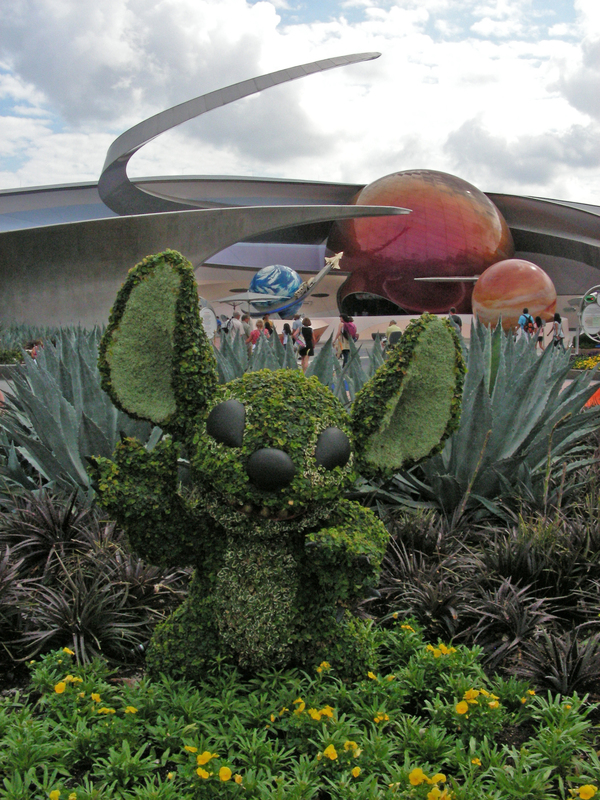 Green is a good color for Stitch! What got me through the gray and chilly days? 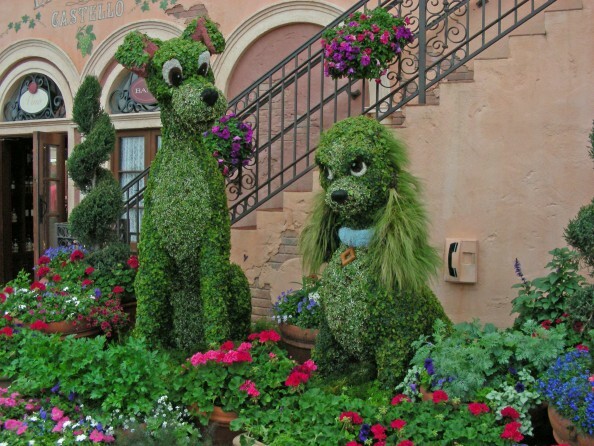 Pictures of Walt Disney World’s amazing horticulture, specifically the artful displays set out during the Flower & Garden Festival at Epcot. I hope to attend someday, but the wonderful internet fed my need for “pretty things”. And now that the weather is warmer, I’m in a new (better) place, and things are settling down, I thankfully won’t need to stare at a computer screen to enjoy the flowers. So in honor of our (temporary) departure – that being myself and my Google search full of flowers – I give you one final look before I get outside! Lady and the Tramp – Love the collar! « Interesting Early Concepts Video for “Tangled”.